I’m going to start with the first book I ever published called American Patchwork: True Stories from Quilters. It is a collection of 67 tales written by quilters from all over the U.S. and Canada. Some of the stories will make you laugh, some will make you sigh with poignancy, and others will make you wonder anew at how closely we are all connected to one another. Here’s a sample of one of the stories, Momma’s Yo-yos. The book was published by St. Martin’s Press in 2007 in a beautiful hardcover edition for a retail price of $23.95. St. Martin’s no longer has hardcovers on hand (they converted the book to an ebook a few years ago) but I still have a small supply on hand. 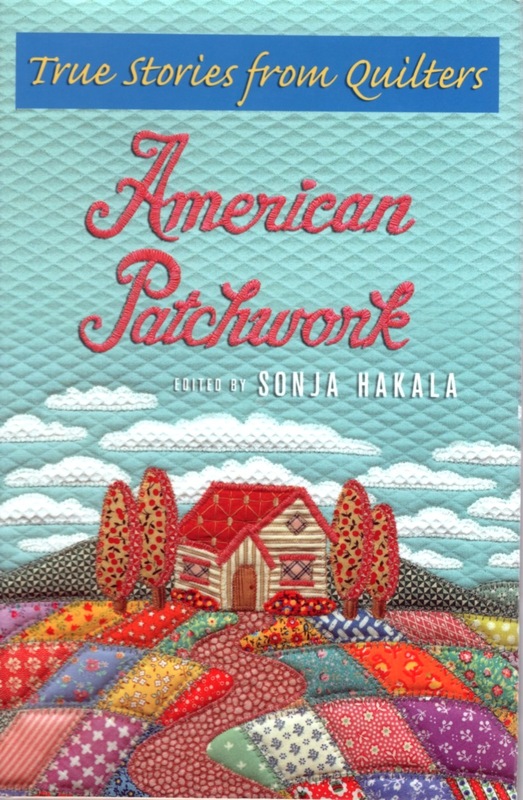 Copies of American Patchwork are now available for $20—and that includes shipping within the U.S.
To order, please go to our BOOK SALE page and fill out the order form. We will invoice you so you can pay by debit or credit card, and then the books will be on their way.